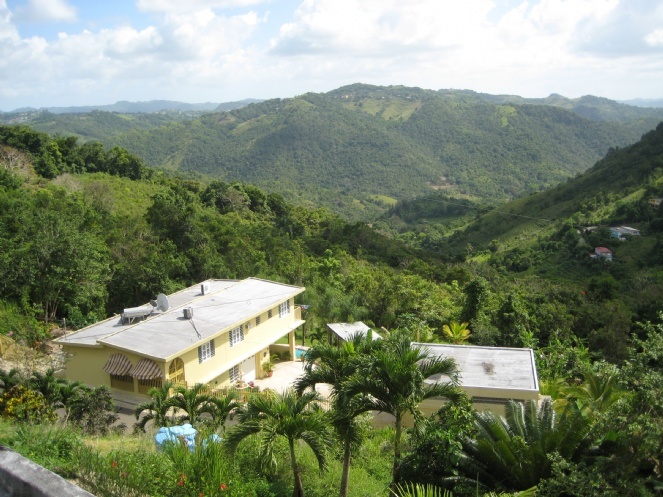 It was a warm, sunny, cloudless Puerto Rican day, and the face of Levi Stein, the rabbi recently appointed to oversee the development of the Jewish Welcome Center of Old San Juan, was flushed as he clutched the wheel of his car and we wound our way up the curvy mountain road. We were in Cidra, in the central part of the island; I had begged the rabbi to help me find some really unusual Jewish stories. “There is a Jew who lives in the middle of nowhere, on top of a mountain,” he told me. Before he had finished his sentence, we were on our way. The car hugged the right side of the steep and narrow two-way road, lined with conical bamboo stems and lush, dense, rain forest-like foliage. On our left was a cliff, a deadly drop into the abyss. I stifled a scream when a car, careening down the hill, almost shaved the rabbi’s vehicle. The GPS chirped a few useless directions. Just as we were also about to give up, we came face to face with a vertical driveway. Cautiously, we inched our way up and there, in front of a large home, stood a middle-aged man in a checked shirt, loose pants, kippa, tsitsit and flip-flops. He introduced himself as Reuven Reyes. His wife Hadassah was at his side. Inside Reyes’ large house, the lone décor on its bare white walls was a picture of an old Jewish man blowing a shofar. Because it was right before Chanukah, a 7-branch menorah stood in the middle of the dining room table, and a Chanukiah was perched on the kitchen counter. I sat down with Reyes and Perez, peppering them with questions about their origins. Perez explained that their fathers and family originated in Spain. Reyes and Perez shrugged. Then, little by little, they recounted what they did know — the unusual story of their own lives. It was a Christian church, he told me, but they kept kosher, observed Shabbat, Yom Kippur, Shavuot, Sukkot, Rosh Hashanah, and Passover. Without understanding why, Reyes’ family observed a variety of Jewish customs. His mother made Shabbat dinner on Friday nights. His family slaughtered animals differently from their neighbors: they killed the animals quickly, hung them upside down and drained the blood. At Passover time, they ate yeast-free bread in church. As a young adult, Reyes joined the army, said he couldn’t work on Shabbat and needed to eat kosher food. They considered him a Seventh Day Adventist and put him to work in the kitchen, where he could prepare his own meals. In 1975, Reyes married a Catholic woman and moved to New Jersey, where he worked for a Jewish boss. Reyes was involved with the church and rose quickly through the ranks of the church hierarchy. In 1981, they moved back to Puerto Rico. Reyes logged 20 years as a church leader, was a minister and a member of the church council. From 1981 to 1987, Perez also lived in New Jersey, where he worked for a Jewish businessman, buying car parts. He questioned his boss about what Judaism was all about, but was simply told: “This is not for you.” Undeterred, Perez bought a book about Christianity and its Jewish roots. The more he thought about his religion, the more fundamental questions Perez had. He called a rabbi in Miami, who sent him a book to help address his questions about the Messiah. “I came back to Puerto Rico and started to buy books about Judaism,” he said. Soon, he was ready to tell a pastor in the church that his views on the Messiah had changed. Perez’s group was exiled from the church, which prompted Reyes to start asking his own questions of the council. Eventually, he was excommunicated as well. Reyes approached Rabbi Mendel Zarchi, founder and spiritual leader of the Chabad of Puerto Rico, about converting. Zarchi, as per Jewish custom, was required to turn him away. After several weeks of waiting, Reyes contacted him again, and seeing his determination, resolve and energy, the rabbi invited him to Chabad for morning services and Shabbat. Zarchi encouraged him to start connecting with various rabbis to learn more. He and a group of others had their first phone conference with Rabbi Baruch Landy, an Orthodox rabbi in New Jersey. For close to two years, they had classes remotely and learned. Reyes flew to New Jersey to attend yeshiva for three weeks, and returned to Puerto Rico with an abundance of study materials. Reyes stopped driving on Shabbat, and started staying over at the Chabad. 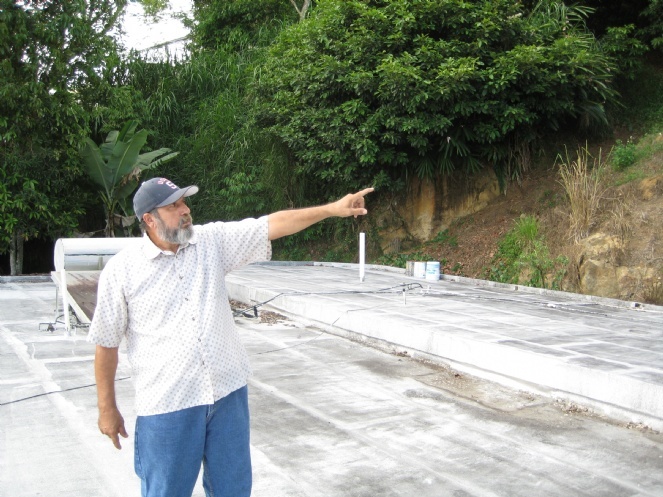 “I had nowhere to sleep in San Juan, so the rabbi graciously invited me to stay in the second room.” With Rabbi Zarchi’s help, Reyes obtained a bed and built a bathroom. “At the time, my wife was not interested at all. Now she is more observant than I am,” Reyes said proudly. Over time, a few other prospective converts joined the synagogue. One day, Rabbi Zarchi told them they were ready to convert. He loaned Reyes and Hadassah money to go to New Jersey, where Rabbi Landy took them to Queens for their conversion. It was a Thursday when a small group, including the couple and another family from Puerto Rico, passed the tests that finalized their preparation. Friday morning, they went through the conversion process, and proceeded to Passaic, New Jersey for their first Shabbat as members of the Jewish people. On the way, Reyes said the Shema, adding to a day, and larger week of powerful memories he says he’ll carry with him always. He said he was grateful to the rabbis that had helped them along the way, and for the opportunity to learn about how the customs he had always known fit in with Jewish tradition. And when he returned to Puerto Rico and to the Chabad synagogue, the rabbi and rebbitzen were waiting to welcome him back. They presented him with his tallis and tefillin, which he’d been yearning to wear for so long. Now they were his to use. Three months after Reyes’ conversion, Perez and his group went to New York to convert. A rabbi in Monsey, New York invited them for Sukkot. Then they went to Borough Park, in Brooklyn, for the conversion. Perez moved to Monsey, but then decided to settle back in Puerto Rico, where the weather was better. Perez and Reyes continue to be familiar faces at the Chabad. Reyes, in fact, comes every Shabbat, stays overnight, and helps take care of the synagogue. In addition to the pleasure he feels from opening and closing the synagogue for the rest of the congregation, he imbues an aura of happiness knowing he is now a proud member of the community. “You have gone through so much to be Jewish,” I said to them. In 1898, after the United States defeated Spain in the Spanish-American war and gained control of Puerto Rico, Jewish servicemen and administrators arrived and settlement gradually began to grow. During World War II, there was a substantial increase. Today, Puerto Rico is home to the largest Jewish population (about 2,000) of any Caribbean island, and boasts three synagogues, and a Jewish Welcome Center. Segun tomado de, http://www.chabadpr.com/templates/articlecco_cdo/aid/2357678/jewish/The-Making-of-Puerto-Rican-Jews.htm el lunes, 28 de julio de 2014.